A middle-aged woman is wearing the grimace of a weightlifter, an old man who looks oddly like Steven Avery’s father grins through broken yellow teeth, and a young kid with a head of hair as red as the bottom of a Christian Louboutin high heel sends a Wicked Witch of the West like cackle into the rafters. There are 7.5 billion people in the world, all created with a difference, and there is no better place to take a thin slice of this magnificence than at the poker table. 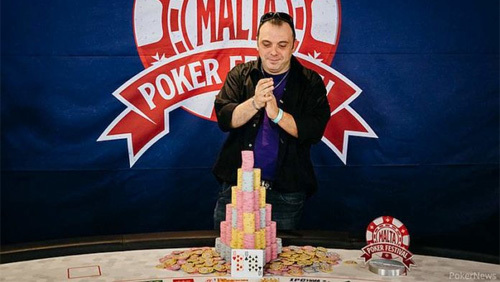 The Malta Poker Festival (MPF) cost €550 to enter. 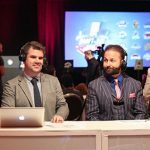 Events like these are Atlas-like for the poker ecosystem. The TV screens and magazines sell the celebrity of poker, and quite rightly because we need the exposure to turn silverfish into sharks, but this is where the evolution begins. In poker, we use the word ‘love’ with the insincerity of a three-barrel bluff, but during my associated chinwags with the players who made up the 1,366-entrants strong field in the Grand Event, I heard it with a genuineness of those exchanging vows at an altar. People love Montealegre around these parts. The MPF was an experiment. Could Montealegre recover from her acrimonious split from The Battle of Malta (BOM), a grassroots tournament she gave birth to and nurtured from a 349-entrant event laden with baby fat to a 2,074-entrant powerhouse? Redbet and Video Slots did their part. The Hendon Mob (THM) held a Championship event. The Amateur Poker Association & Tour (APAT) also got involved. The people came, and the people loved. 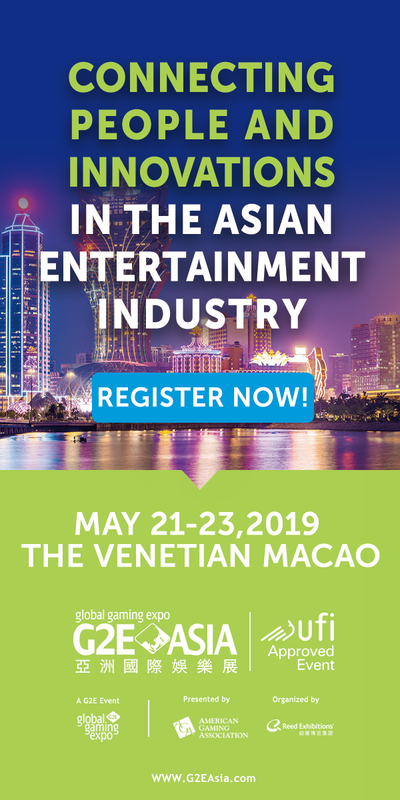 Over six days (three starting flights), the Portomaso Casino and Hilton Hotel in St Julians danced to the tune of riffling poker chips, the clink of wine glasses, and the rustle of paper from the free candy in the buffet during each break. 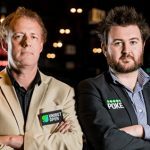 The €500,000 Guarantee wasn’t a problem with €662,510 ending up in the kitty, and by the time the final table came into view, there was a lovely balance of newbies, experience, and celebrity. One thing that’s constant whether I am working at an HKD 2 million buy-in event in Jeju, Korea, or a €550 buy-in event in Malta is the brilliant German player somewhere in the mix, and on this occasion, that man was Fabian Gumz. 2018 seems to be the year that Gumz’ stops sticking his fingers into tins of braised steak, and starts eating fillet steak with a knife and fork. Gumz has earned $136,103 in live tournament earnings, including a deep run in the World Series of Poker (WSOP) Main Event (441st), and a victory in a Mid-States Poker Tour (MSPT) Main Event in the Venetian, beating 357-entrants to bank the $51,139 first prize. Gumz began with the final table with a healthy chip lead. 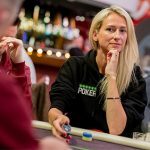 Joining Gumz were three Italians and three Norwegians amongst whom sat an array of poker purists who have cut their teeth on the Italian Poker Tour (IPT) in San Remo. Giovanni Salvatore won the €2,200 IPT Main Event in San Remo back in 2009 for €150,000, and Borge Dypivik once beat Mustapha Kanit heads-up to win the €73,500 top prize in a €5,250 High Roller at the 2012 event. Then you had a spot of poker celebrity in Espen Uhlen Jørstad. 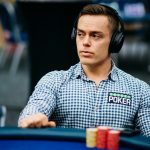 The Unibet Poker Ambassador and Twitch star told me at the beginning of the series of his intention to migrate from cash games to tournaments because he wanted to spend more time in the limelight. Beating the crap out of people. And then there were those for whom this tournament had nailed down as the perfect customer for this event. The players who arrived in this beautiful part of the world on a punt. Onnis reached the summit of this thing when he finished Day 3 as the chip leader, and he used that mountain of chips to cruise to the final table where he sat in Gumz’s sidecar. The first person to hit the rail like a little lettuce hits the back of a rhino’s throat was Steven Iglesias. The action folded around to D’Antoni in the small blind, and he moved all-in holding ATdd, and the short-stacked Iglesias called from the large, holding 9h8c. We had a flip, and then we didn’t after an all-diamond flop left Iglesias feeling like the young lad at a brothel who has just unbuckled his belt only to realise he left his wallet at home. 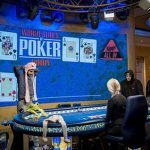 Dypvik was next to bounce after running pocket sixes into a pair of fish hooks belonging to Gumz, Jørstad was able to create a post-scene credit on Instagram Live after running pocket nines into D’Antoni’s pocket aces to exit in sixth, and Onnis picked up some extra muscle when he eliminated Salvatore AK>AQ. Andre was the next to leave centre stage in another blind on blind war that saw the Swede’s A7o dominated by the A8s of Gumz. Up to this point, every exit had gone per script, until the demise of D’Antoni. Gumz played his AQo a little sneakily by making up the difference from the small blind, D’Antoni looked down to see Big Slick in the big blind and upped the ante. Gumz – who assumed his trap had worked to perfection – moved all-in, and D’Antoni made the call. D’Antoni must have been thrilled until the queen on the flop sent a needle across the record so loudly you could hear it in Rome. The heads-up action lasted as long as an uncombed head of a child heading to a school photo shoot. Gumz began with a 3:1 chip lead, but Onnis doubled into the lead when he won a big flip KJ>AQ, and then the only person left in the room with something to do was the photographer, as the pair got it in again with Onnis leading with pocket tens, and Gumz needed to hit with AJ. You couldn’t have picked a better flop than AsTc7c, giving Onnis a set, and Gumz top two pairs. Supporters of both players extended their necks Ostrich like to take a look at the board. The air felt electric with the buzz of possibility, and then the dealer laid the 9h and the 3s onto the felt to send both sets of supporters into a madness of polarising proportions. The whole thing took six hours from start to finish. Before this final table, Onnis had only won $16,264 playing live tournaments. His appearance at the final table of the MPF was only his sixth cash, and second final table, and his previous best score was €5,800 for finishing 17/1010 in a €700 buy-in event at the Italian Poker Tour (IPT) in San Remo back in 2013. He was the perfect winner. A man cut out of the mould that Montealegre sculpted the moment that she knew she had to get back to basics and do this thing all over again. Malta has a new contender in town. The following three people ran deep in this thing, and as I interviewed the lot I would like to take full credit for the inspiration that led to each deep run: Eyal Bensimon (12th), Kat Arnsby (63rd) and Davia Byrne (68th).